Stock Low : 663 items left. 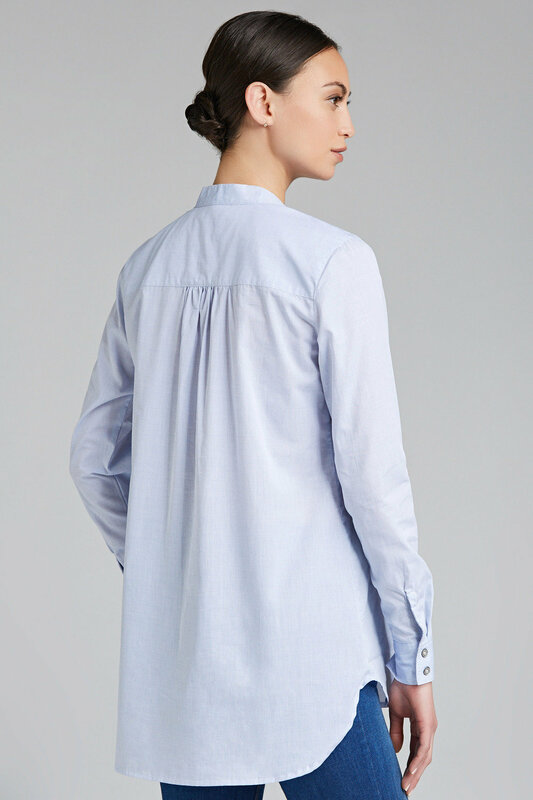 Whether worn with office tailoring or casual summer looks, the Capture Longline Voile Tunic is a smart and polished piece that will immediately pull an outfit together. Cut from cotton, this piece is super-comfy to wear thanks to its breathable and lightweight nature, making it great for regular weekday wear. We'll be wearing ours to the office with tapered trousers and pointed heels, or to add refinement to our weekends by pairing it with white shorts, a straw hat and sandals.